Current pharmacokinetic (PK) and toxicological studies pose an increasing demand on the volume of blood available from study animals, especially when the study involves small rodents. As a response, microsampling techniques have been introduced into bioanalytical studies. Dried blood spots (DBS) and capillaries are the two most commonly used microsampling techniques. In this presentation, we present how microsampling can generate high quality bioanalytical data and accurate PK profiling, we also present a unique sample handling method utilizing pre-scored capillaries developed by Frontage (PA, USA), and how this overcomes some of the limitations with the conventional capillary microsampling approach. 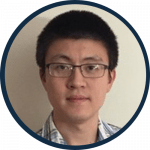 Xiaonan Tang is Director in the bioanalytical department at Frontage Laboratories (PA, USA). 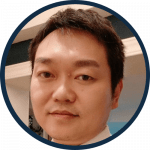 Xiaonan received his BSc in chemistry from Beijing Normal University (Beijing, China) and his PhD in physical chemistry from the University of California, Davis (CA, USA). After 2 years of post-doctorate studies at the University of Chicago (IL, USA), Xiaonan joined Frontage Laboratories in 2008. Xiaonan is responsible for small molecule bioanalysis under the GLP environment. Xiaonan has extensive experiences in method development and validation. He has supported over 300 nonclinical (GLP, non-GLP) and clinical studies as a principal investigator. Xiaonan is also a key member of the IDBS ELN launching committee at Frontage Laboratories. Yang Lu joined Frontage Lab, Inc. in 2015 and currently serves as Lab Manager of the bioanalytical department. Yang received his BSc in pharmaceutical science and MSc in medicinal chemistry from Peking University (Beijing, China). Yang conducted his doctoral research at State University of New York at Stony Brook (NY, USA) and achieved his PhD in chemistry and chemical biology in 2014. Yang’s team is responsible for developing and validating LC–MS/MS based methods for small molecular drug quantitation to support bioanalytical assays in preclinical and clinical studies.